Phlebotomists perform essential health-care tasks. When you have blood drawn at the hospital or doctor's office, you're probably meeting with a phlebotomist. A phlebotomist's primary job is taking blood, though she also evaluates a patient's veins for transfusions, prepares laboratory specimens for examination and explains blood drawing procedures to patients to put them at ease. 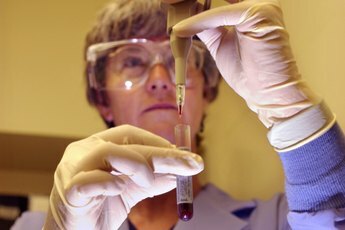 Because phlebotomists don't need a great deal of education, they are among the lowest-paid members of the health-care industry, reports the Bureau of Labor Statistics, BLS. Exactly how much you can make depends on the health-care setting you work in, the city you live in and how much experience you have. The BLS does not break out salary information specifically for phlebotomists, but a quick glance at phlebotomy job information on reputable online sites gives you an idea of how pay differs by location. CareerBuilder reveals a payscale range between $9 and $14 an hour as of 2013. Pay differs from state to state and from town to town. For instance, a job posting in Orlando, Florida, offers between $9 and $11 an hour while a posting in Demorest, Georgia, offers between $12 and $14 an hour. Frederick Community College in Maryland tells its students phlebtomists in that area earn an average of $12 to $15 an hour. Salaries also fluctuate depending on your work setting. 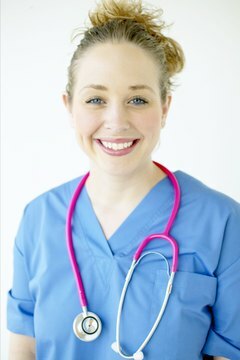 According to the Bureau of Labor Statistics, the hourly pay for a phlebotomist is lowest in a physician's office, where the average was about $13 an hour as of 2010. In hospitals, the average pay was $13.50. The highest average pay is in a reference lab, where the hourly rate was $20.16. Courses in phlebotomy are available in technical and trade schools and in some colleges, according to the Education Portal. 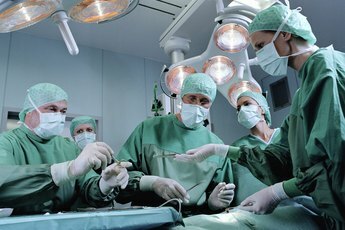 American Medical Technologists, or AMT, an accrediting agency for allied health professionals, notes that program lengths vary depending on the school, and usually culminate in a certificate of completion or a diploma. Each state has its own requirements when it comes to licensing phlebotomists, says the AMT. Professional certifications, which add another layer of credentials to a phlebotomist's education, aren't always required, but they can aid your hireability. Some states, such as California, require phlebotomists to be both certified and licensed in order to work. 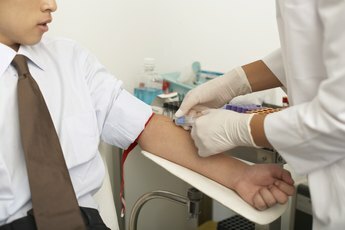 How Long Does it Take to Get a Phlebotomy Certification? 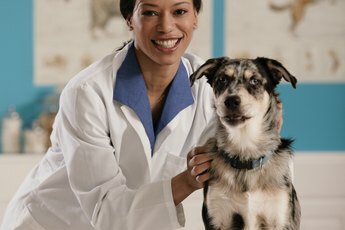 How Much Does a Veterinary Technician Make?